WARNER! 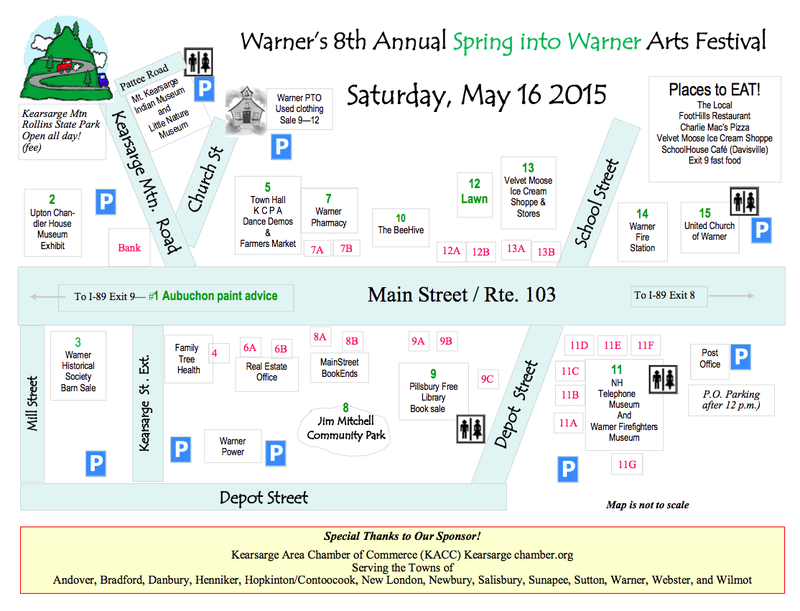 NH: May 16 - Spring Into Warner! 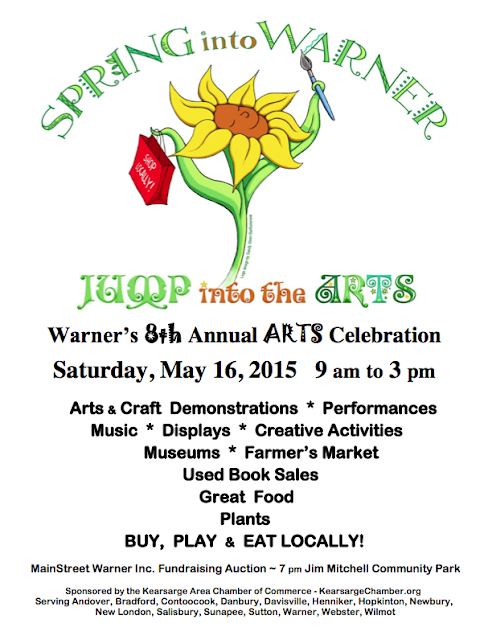 May 16 - Spring Into Warner! 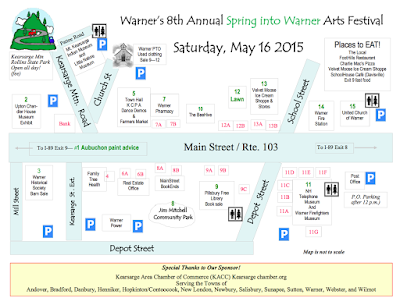 It's here - Spring Into Warner! 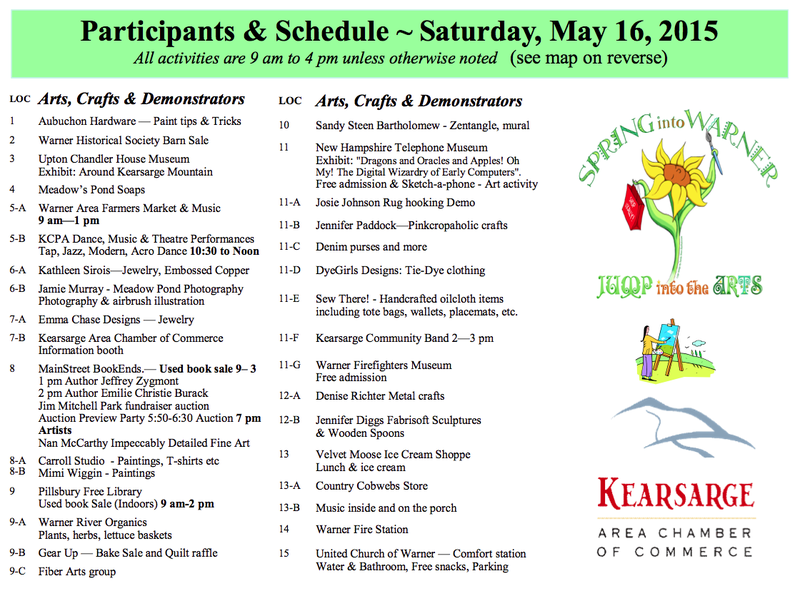 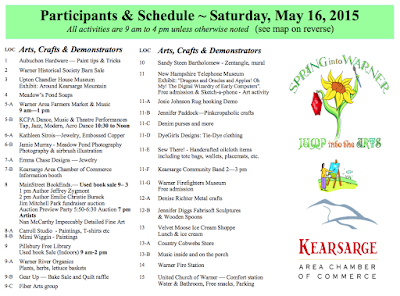 Here are the map and schedule to help you plan your day.